We fostered the Rascals from October 25th 2012 to January 2013 – and their daily story is here in the archive of this blog. Just pick a date from the calendar at right… and begin reading. Want to see the Rascal’s Facebook photo journal? Here’s the quick-reference guide if you ever want to see videos of the Rascals. Here’s their playlist. Enjoy!! Ever wonder about the after-story? What happens after happily-ever-after? 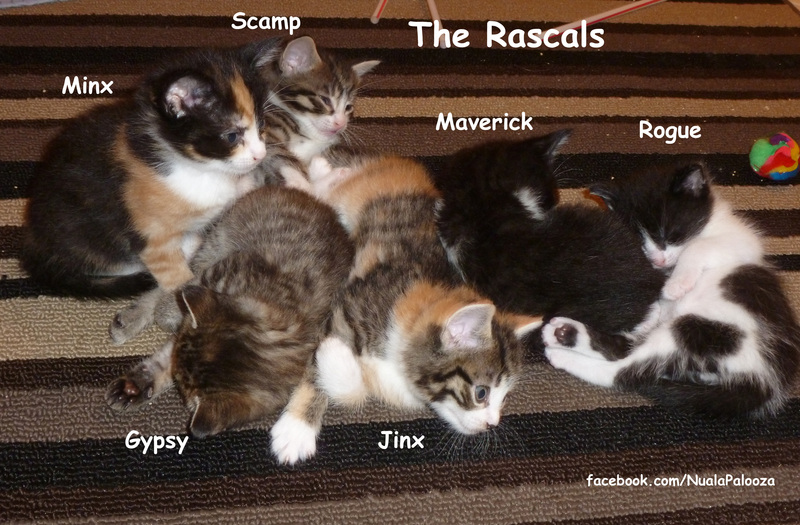 Well, we are really fortunate with the Rascals to have done a good part of the adoption process ourselves – and so we’ve kept in touch with the 4 wonderful families who adopted the Rascals.